An unexpected death or tragedy can often send families down the road to financial disaster. 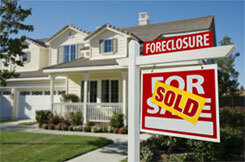 Without planning ahead and having an insurance safety net in place, bankruptcy and foreclosure could become a reality. Mortgage protection insurance is a safety net that could save your family from ever having to lose their home due to your inability to pay your mortgage. By planning ahead and protecting your family today, you could save your family from financial hardship in the future. Protect your family’s future while you still can. You can still provide your family with the monetary support they will need to keep their home, no matter what happens. Don’t keep waiting – today is the day to protect your family. The benefits to having this coverage are worth the time it takes to pick the perfect plan for your family. Show your family that you have their best interest in mind. You have the ability to obtain your death benefit early in the event of a terminal or critical illness. A monthly benefit is available to pay off your mortgage during a prolonged disability. You can earn interest on your premiums, which can create an extra source of income for emergencies. Receive up to double the amount of the normal benefit in the event of an accidental death. You have the ability to receive the benefit as a lump sum or monthly payments over several years. For more information about mortgage protection insurance and its benefits, please fill out the form on the right. You can also call the number to speak with an experienced representative who will help you find the right plan for your budget and coverage needs. Note: Not all benefits are available in every state. Please ask your mortgage protection insurance specialist for more details.